STEVEN J. EISEN is a partner in the Nashville office of Baker, Donelson, Bearman, Caldwell & Berkowitz, A Professional Corporation. His experience includes corporate representation, securities offerings, intellectual property, and representation of financial institutions throughout the Southeast. Mr. Eisen has been named one of the "Best Lawyers in Tennessee" by Business TN annually since 2004, one of the “Mid-South Super Lawyers” by Mid-South Super-Lawyers Magazine annually since 2006, and has been listed annually since 1995 in the preeminent legal guide Best Lawyers in America© and has been named the Best Lawyers’ 2011 Nashville Banking Lawyer of the Year. He also has been listed each year since 2008 in Chambers USA: America's Leading Business Lawyers and ranked #1 as a leading lawyer in the areas of Banking & Finance and Banking & Finance: Regulatory in Tennessee. He has been listed in the US Legal 500 each year since 2007; and in 2010, Mr. Eisen was named to the Nashville Post's inaugural 2010 "In Charge" list of businesspeople and community leaders who are writing Music City's success story" and most recently named to this publication's first list of "101 Top Lawyers" in 2011. The Nashville Business Journal named Mr. Eisen a "Power Leader in Banking" in September 2011. Mr. Eisen has co-authored books entitled Starting De Novo Banks (AlexInformation, 1999) and Intellectual Property Deskbook for the Business Lawyer (American Bar Association, 2007, 2nd Ed. 2009). He is the author of "Banking Acquisitions and Procedures by Holding Companies" published in November 1984 in the Banking Law Journal; co-author of "The Community Reinvestment Act: The Regulators Give It A New Emphasis" published in July 1990 in the Banking Law Journal; author of "Know Copyright and Trademark Laws Before Ink Goes to Paper" published in October 1993 in Print South, the magazine of the Printers Association of the South; author of "Trademark and Copyright Protection" published in May 1994 in The Tennessee Banker, the trade journal of the Tennessee Bankers Association; author of "Surf's Up: A Banker's Guide to Riding the Internet Wave" published on September 14, 1995, in the American Banker; author of "A Guide for Banker's Surfing the Net" published June 1996 in The Tennessee Banker; author of "Eight Points You Need to Know About Raising Capital and Securities Law Compliance," East Tennessee Business Journal, October 20, 2005; co-author of "Trademark and Marketing Issues for Financial Institutions," Consumer Finance Law Quarterly Report, Spring 2006; author of “Skyrocketing Bank Director Regulatory Expectations and Responsibilities,” Community Banker, August 2007, author of “Feds Gone Wild” published September 2009 in the Nashville Bar Journal (for which he won article of the year), "Lawyer in the Box," published in the April 2010 Tennessee Bar Journal., and has been quoted on various legal topics in other magazines and newspapers. He has been a speaker on financial institution law, securities law, and director liability at seminars sponsored by the Tennessee and Louisiana Bankers Associations, Tennessee Society of CPAs, and the American, Tennessee, and Nashville Bar Associations. In 1991, Mr. Eisen was a finalist in the international human rights competition held at The Memorial in Caen, France. 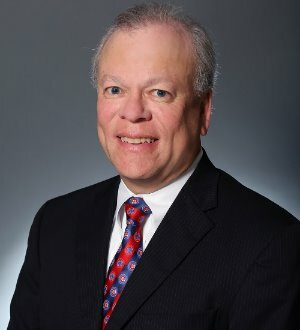 He is a member of the lawyers committee and government relations committee of the Tennessee Bankers Association and a member of the American Bar Association, its Banking Law Committee of the Business Section and the Intellectual Property Section. He has been a member of the Tennessee Bar Association's and Tennessee Bankers Association's special committees on drafting form documents for limited liability companies and has spoken at seminars on this topic. He is a board committee member of the Exchange Club Family Center, board member and secretary of Nashville RBI (Reviving Baseball in the Inner Cities), Inc., president of the Economic Club of Nashville, and board member and treasurer of a Nashville affiliate of the American Cancer Society. He is a member of the Downtown Economic Club of Nashvilleand the Tennessee State Bar and is admitted to practice law before the United States Court of Appeals for the Sixth Circuit and the United States District Court for the Middle District of Tennessee. Mr. Eisen holds a Bachelor's Degree in Economics from Northwestern University in Evanston, Illinois; a Juris Doctor Degree from Vanderbilt University in Nashville; and a Masters of Business Administration (MBA) from Vanderbilt University. He attended high school in Nashville at Montgomery Bell Academy where he was a member of the honorary fraternity, Totomoi. He also is an Eagle Scout and a Life Loyal Sig of the Sigma Chi Fraternity. Mr. Eisen can be reached by E-mail at sjeisen@bakerdonelson.com or by snail-mail at 211 Commerce Street, 800 Commerce Center, Nashville, Tennessee 37201, (615) 726-5718, (615) 744-5718 (fax). For more information about Baker, Donelson, Bearman, Caldwell & Berkowitz, visit www.bakerdonelson.com.